It’s pitch black, cold, raining. A small dinghy is being tossed around by the waves. Inside the boat are two families. One of the children is just a toddler – a dark-haired girl wearing a purple coat under her fluorescent orange life jacket. This isn’t the Mediterranean; it’s the English Channel. When the boats were crossing and the bodies washing up 1500 miles away, our politicians could turn a blind eye. That’s no longer the case. We have called many times before for safe, legal routes for people who are forced to migrate. That call now has new urgency, but the immediate response from politicians to the arrivals at Dover has been discouraging. “What is being done… to make sure that individuals do not get as close as they have done?” MP Rehman Chishti asked Home Secretary Sajid Javid at a Home Affairs Committee meeting on 27 November. Everything possible must be done to “keep… citizens safe,” he added. MP for Dover, Charlie Elphicke, asked a similar question of Theresa May at Prime Minister’s Questions the next day, calling for the people smugglers to be found and stopped and for more investment in border security. Both the Home Secretary and the Prime Minister echoed their concerns – yes, this is a question of security, they agreed, and yes, the boats must and can be stopped. Both touted a brand new Anglo-French coordination centre that aims to “combat cross-border criminality” and prevent “illegal attempts to cross the border”. But they’ve got it badly wrong. Around 110 people have arrived near Dover in the last few weeks – a few dozen families – in barely seaworthy craft. This is not a security issue, it’s a humanitarian one. The government’s approach – security and deterrence – is a troubling echo of the EU’s response to the arrivals at Europe’s southern shores. Due to the lack of safe, legal routes more than 14,000 people have risked and lost their lives in the Mediterranean since 2015 and unknown numbers are currently trapped in northern Africa, facing the threat of people trafficking, slave auctions and indefinite detention. Both responses are built on a failure – or unwillingness – to understand that people are desperate and people will continue to move. If there are no safe legal routes, they will find and take the dangerous path. A sea will not stop them. The fences that now line the borders of much of Eastern Europe will not stop them. Nor will the £2.3m wall at Calais, or a fancy new Anglo-French coordination centre. Migration is normal, a natural part of life. We all move, we all migrate. Sometimes we cross borders. Sometimes we are forced to by circumstances beyond our control. So whether they are fleeing war, persecution, economic deprivation or an oppressive regime supported by the West; whether their children are hungry and they are seeking work and a chance to feed their family – they will move. And if they can’t move safely, they will cross the sea. The Home Secretary told MPs he is considering bringing a Border Force patrol boat, currently operating in the Mediterranean, back to the English Channel to intercept any migrant craft – but he’s reluctant, as he doesn’t want to turn a security mission into a humanitarian one. It’s an argument that’s used often, but it misses the real reasons why people cross seas and oceans and can have fatal consequences – if there is no rescue mission, that’s when families and children drown. As a nation, we have signed treaties that commit us to give sanctuary to those who need it. But we also have a humanitarian duty to save lives. Our duty is also to seek long-term solutions to the political, social and economic problems that force people to migrate. This is not a security issue, it’s a humanitarian one. We repeat our call for safe, legal routes. 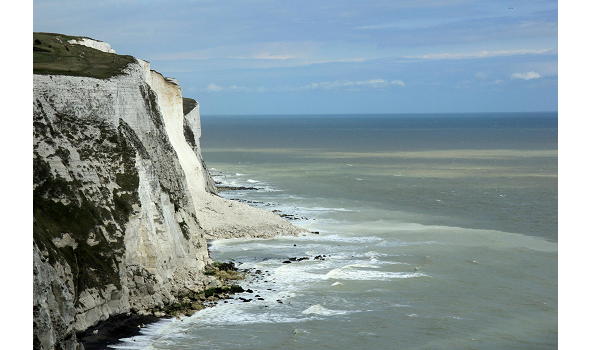 Let’s not see bodies on the beach at Dover.